From Mark Greaney, the New York Times bestselling author of Gunmetal Gray and a co-author of Tom Clancy's Jack Ryan novels, comes a high-stakes thriller featuring the world's most dangerous assassin: the Gray Man. 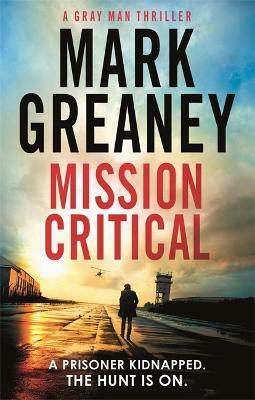 From Mark Greaney, the New York Times bestselling author of Gunmetal Gray and a co-author of Tom Clancy's Jack Ryan novels, comes a high-stakes thriller featuring the world's most dangerous assassin: the Gray Man. Court Gentry's flight on a CIA transport plane is interrupted when a security team brings a hooded man aboard. They want to kick Gentry off the flight but are overruled by CIA headquarters. The mystery man is being transported to England where a joint CIA/MI6 team will interrogate him about a mole in Langley. When they land in an isolated airbase in the UK, they are attacked by a hostile force and the prisoner is kidnapped. Only Gentry escapes. His handlers send him after the attackers, but what can one operative do against a trained team of assassins? A lot, when that operative is the Gray Man. Mark Greaney has a degree in international relations and political science. In his research for the Gray Man novels he has travelled to more than fifteen countries and trained alongside military and law enforcement in the use of firearms, battlefield medicine, and close-range combative tactics. He is also the author of seven New York Times Tom Clancy bestsellers, including three written with Clancy: Locked On, Threat Vector, and Command Authority.